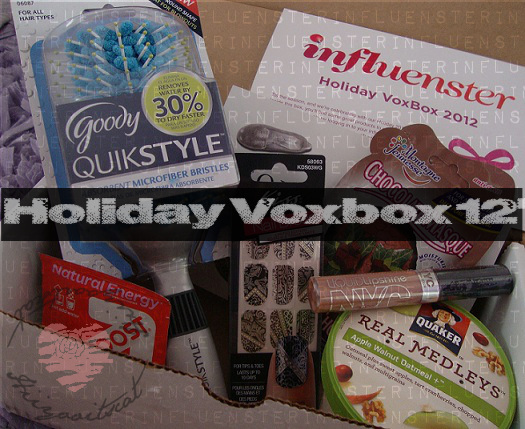 I was pre-qualified for the Holiday Voxbox because of one of the brand challenges I did in the previous box. This box is pretty awesome and different than what I am use to. Since I am use to the Beauty boxes. This one had great products. I love when it includes food lol and nail stuff. I have swatched everything for individual posts and will have them up soon! So far I have tried to brush, lipgloss and mask! Love the products so far. Love this program.. If you aren't an Influenster yet you need to join!